As one can see from the adjacent chart, MCX nickel has given a trend line break-out on the upside in the hourly chart. A cross-over of the short and long moving averages indicates bullishness in the counter. The other technical observations are that Moving Average Convergence Divergence is valued at 4.92 and the momentum is valued at 24. Both suggest bullishness in the counter. On the upside Rs1,125-1,135 is a good resistance levels and on the flip side Rs1,085-1,090 are good support levels. 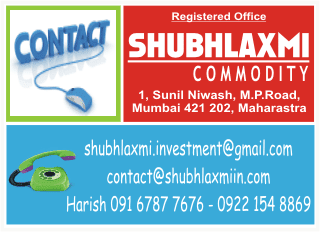 Trading below Rs1,065 will negate the bullish outlook.